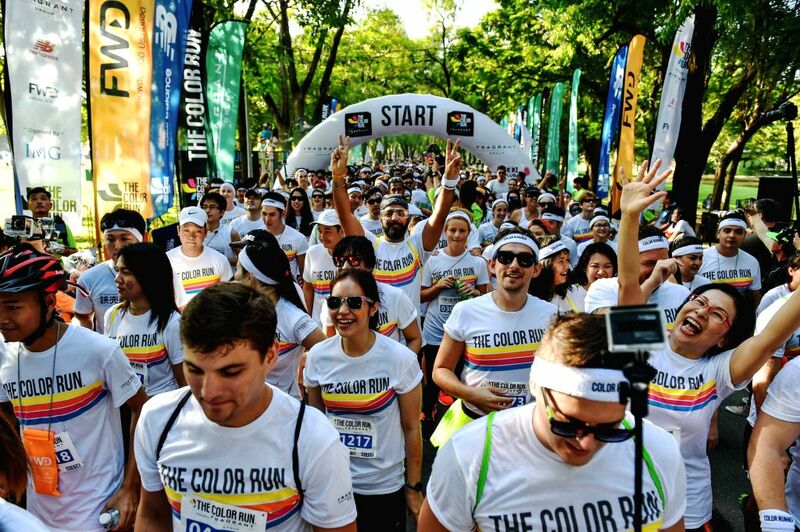 BANGKOK, Oct. 31, 2015 - Participants of the Color Run Bangkok set off from the start line at the Suan Rod Fai park in Bangkok, Thailand, Oct. 31, 2015. 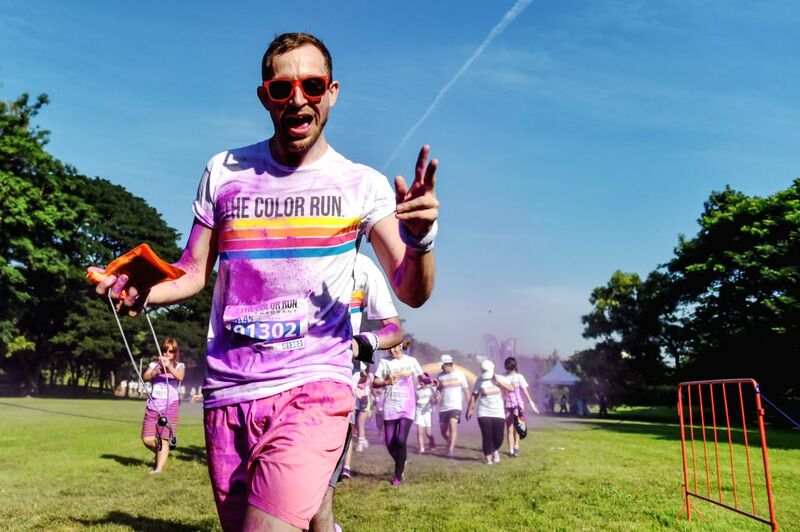 The Color Run is a 5km public paint race that originated in the U.S. in 2011. 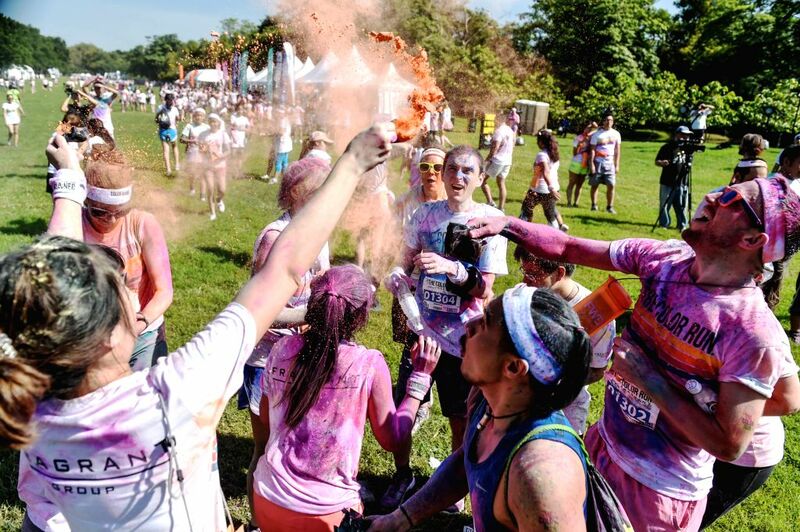 In a typical Color Run race, participants will end up covered in a mixture of colored powders made from corn starch. Participants of the Color Run Bangkok throw colored powders at each other at the Suan Rod Fai park in Bangkok, Thailand, Oct. 31, 2015. A man participates in the Color Run Bangkok at the Suan Rod Fai park in Bangkok, Thailand, Oct. 31, 2015.